It is an unfortunate fact that the electric guitar does not command the attention and respect these days that it has in previous decades. It has been smashed to bits, set on fire, ignored by many newer musical styles like hip hop, and cheapened by video games like Guitar Hero. The good news is that there are a few champions out there who are not content to let our beloved plank fade into obscurity but who are doing their part to bring the old six-string tomahawk back to its rightful place on top of the cultural heap. 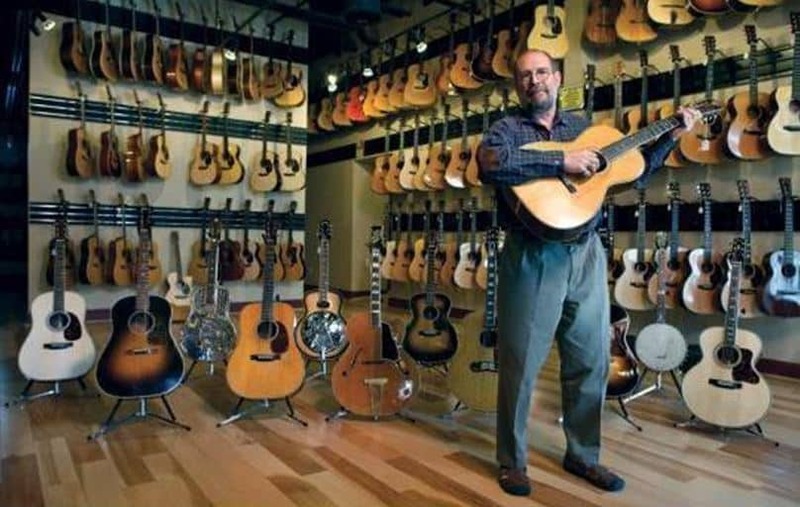 Billy Bones, owner of the Sparrow Guitar Company, is one of these chosen few. 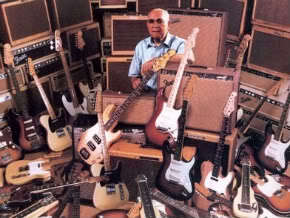 Bones began by working in a furniture-making shop in Vancouver, Canada, but soon started designing electric guitars. Rather than taking the traditional luthier’s path of crafting hand-made instruments one at a time and selling them for obscene prices, Bones imports guitars from the same Asian factories that many of the big guitar companies buy from and then overhauls them with new guts, frets, paint, and artwork to arrive at his goal of custom-designed guitars that are all about classic 50’s greasiness. 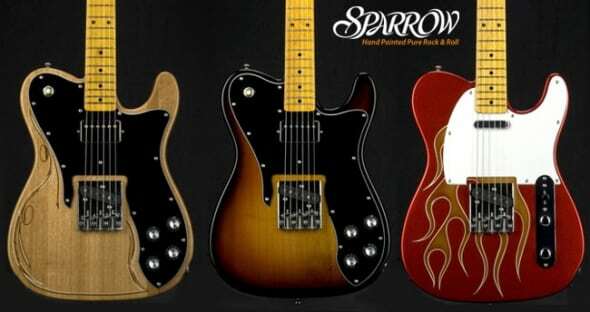 Sparrow Guitars speak to players of hotrods, motorcycles, pinball machines, tattoos, and rock and roll (or, as we say here at Gear-Vault, “all the things that make life worth living”). The best thing about all of this is that Sparrows sell for prices that can be easily swung by kids, working musicians, and anyone else who might want one. Bones and his faithful staff of ten workers build about 100 guitars monthly in four basic designs: the Big Daddy, the Primitive, the Rat Rod, and the Twangmaster. The guitars evoke the traditional American guitars of the 20th century, but with cool and custom twists that can be taken as far as an end-user would like them to go, including pinstriping and hot rod flames, and retail from $450 to $1500. Sparrows can be seen in the hands and on the stages of many touring bands, including Anti-Flag, MxPx, and NOFX. The Sparrow Guitar Company is in touch with and does its best to channel the true spirit of rock and roll, which is in danger of being lost in this age of corporate music and virtual reality. These guitars are perfect vehicles for the visceral sweatiness and rebellious vibes that got us all hooked on this rock and roll thing in the first place and are something that is needed in today’s marketplace. Punks, hepcats, bluesmen, and other true believers take note: these are for you. Visit sparrowguitars.com for more information. They are liquidating a large inventory of Sparrow guitars and have awesome prices! I think they have the last stock left in the US.